Nice! Kim Tae Woo was cast in this drama. Finally I won`t say that his character did it (the bad thing). Or maybe I am wrong? Being a romantic comedy, it will be a light plot. I am hoping he will have a romantic interest too. A small actor who participated in 'Mr Sushini' also adds to the casting of 'Romance Supplement'. Oh, this is so cute! This drama is increasingly taking shape. 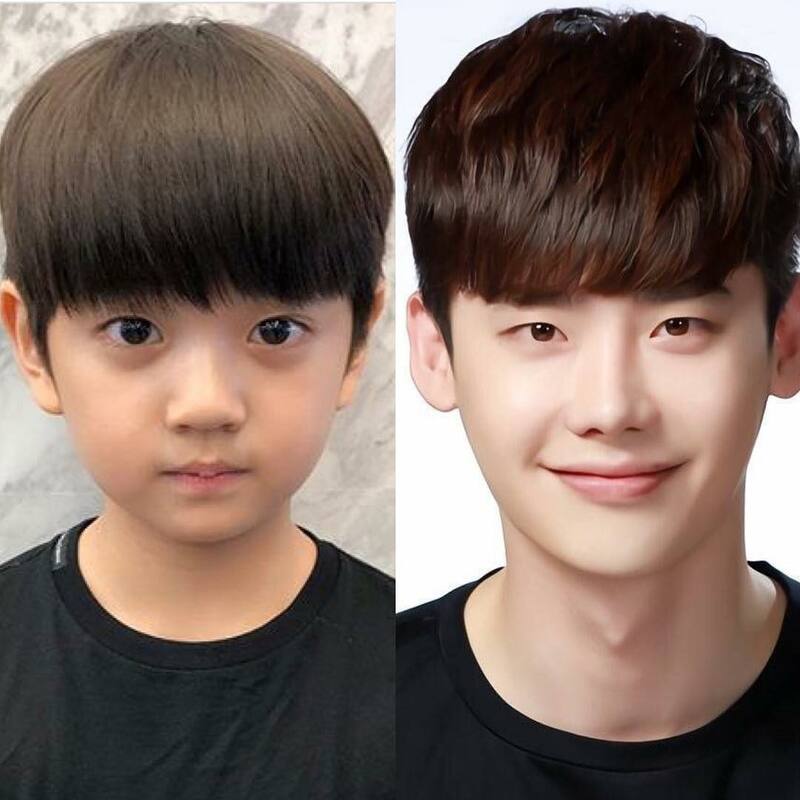 Child actor Kim Kang Hoon will be acting as young Cha Eun Ho (Jong Suk's character) in "Romance is a Supplement"
Child actor Kim Kang Hoon will be acting as young Cha Eun Ho ( Lee Jong Suk's character) in "Romance is a Supplement"
The age difference is obvious. 10yrs is indeed huge. I don't usually like too much age gap both for men and women alike but it seems that's the norm these days. I will watch as long as it's not fantasy. Want to see this guy in a realistic drama. It's been long. Actress Lee Na Young addressed the fact that her co-star Lee Jong Suk has now become a “successful fan”! In an interview on November 12, Lee Na Young talked about working with the actor for her long-awaited return to the small screen in the upcoming drama “Romance Supplement” (working title). The star is currently filming the tvN romantic comedy—her first drama in nine years—opposite Lee Jong Suk, and she reported that she was enjoying her time on set. The actress also responded to questions about the fact that Lee Jong Suk has consistently named her as his ideal type ever since his debut. Not only has the actor repeatedly chosen her as his ideal woman, but he has previously confessed to following Lee Na Young to her movie premieres and even asking his friend Kim Woo Bin to get him her autograph. She added with a smile, “I’m also a fan of Lee Jong Suk’s. “Romance Supplement,” Lee Jong Suk’s first-ever romantic comedy, is a drama that will follow the lives of the employees of a publishing company. 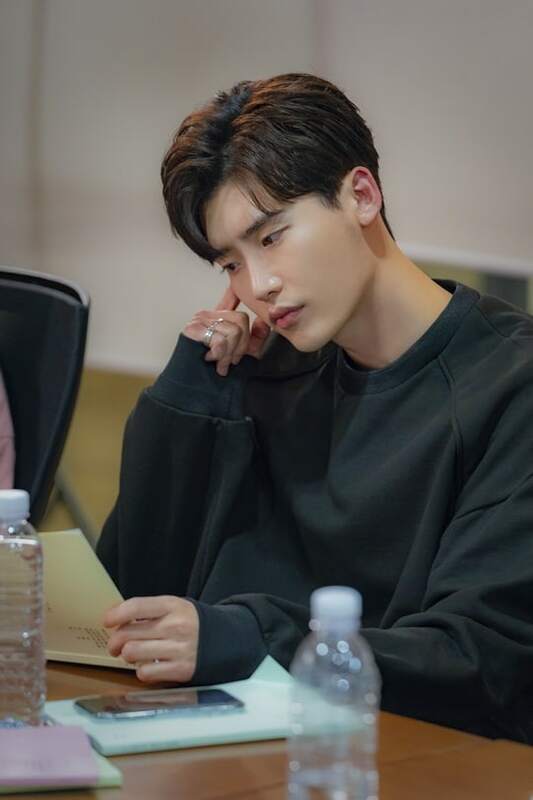 Lee Jong Suk will be playing a brilliant writer who is also the company’s editor-in-chief, while Lee Na Young will be starring as a former copywriter who hopes to makes a fresh start at the company. Lee Na Young & Lee Jong Suk exploded the perfect chemistry from the first meeting. Photos from the script reading of tvN’s “Romance Supplement” (literal title) have been released. The star-studded cast includes Lee Na Young who is returning to a drama after nine years and Lee Jong Suk who will be starring in his first romantic comedy. The actors showed off their amazing teamwork from the beginning of the reading. Realistic, witty lines and detailed acting of the actors helped fill the room with laughter. Lee Na Young and Lee Jong Suk proved that they are the best in the business and created excellent synergy as the drama’s leads. Lee Na Young transformed into the highly educated character named Kang Dan Yi. With her unique and detailed acting, she amplified the confident, lovely charms of her character. Lee Jong Suk also wowed with his portrayal of Cha Eun Ho. His character is dubbed the “idol of the literary world,” a genius writer and the youngest editor at the publishing company who makes hearts flutter with his cynical attitude and good looks. The supporting characters at the Gyeoru publishing company include contents creator and editor leader Song Hae Rin (Jung Yoo Jin), the charming but straightforward Ji Seo Joon (Wi Ha Joon), and CEO Kim Jae Min (Kim Tae Woo). Other characters also include the cold and charismatic director Go Yoo Sun (Kim Yoo Mi), realistic working mom Seo Young Ah (Kim Sun Young), passionate veteran editor Bong Ji Hong (Jo Han Chul), rookie Park Hoon (Kang Ki Doong) who believes in being the right man for the right place, and childish rookie Oh Ji Yool (Park Kyu Young). “Romance Supplement” will air sometime in the first half of 2019.
firstscript reading which took place back on October 26! Romance Is A Supplement' previously garnered attention as actor Lee Jong Suk's first ever traditional romantic comedy drama, as well as actress Lee Na Young's first returning drama in 9 years. The story revolves around the workers of a book publishing company, and is a warm romantic comedy for viewers of all ages to enjoy. Back in October, lead actors Lee Jong Suk, Lee Na Young, as well as Jung Yoo Jin, We Ha Joon, Jo Han Chul, b, and more attended the first script reading for 'Romance Is A Supplement' and tested out their chemistry. Lee Jong Suk plays the role of a 'genius author' and one of the youngest ever professionals to earn the title of head editor at a publishing company, Cha Eun Ho. Opposite him, Lee Na Young is a woman who boasts top schooling and qualifications, but no real work experience - Kang Dan Yi. Stay tuned for the premiere of tvN's 'Romance Is A Supplement', premiering in early 2019!